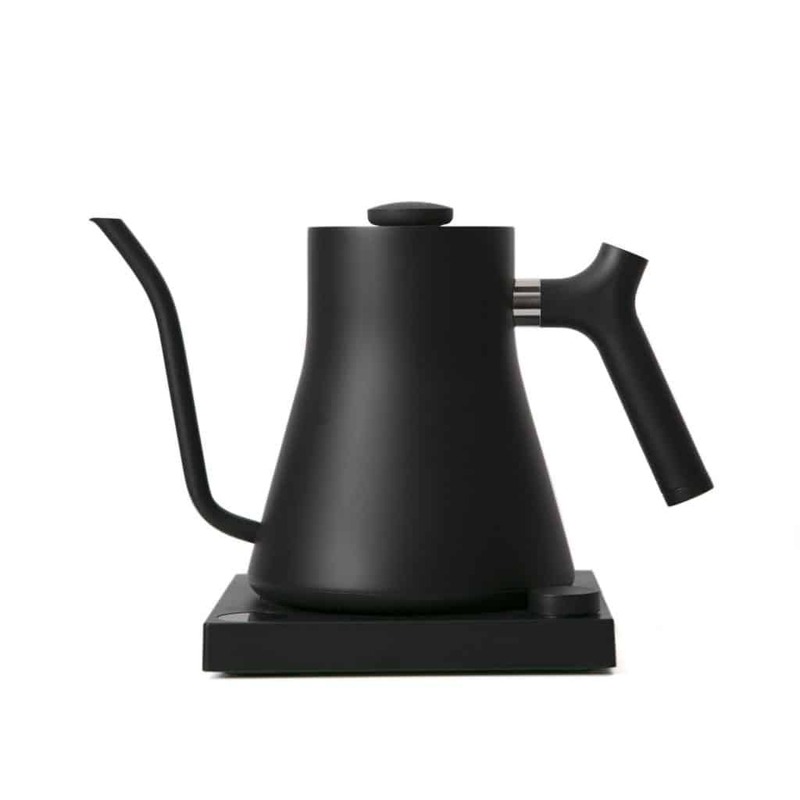 Gooseneck kettles are a key piece of equipment for the pour over brewing method. Pour over fanatics are obsessed with this style because it produces clean, bright cups of coffee that highlight each batch’s flavour notes. 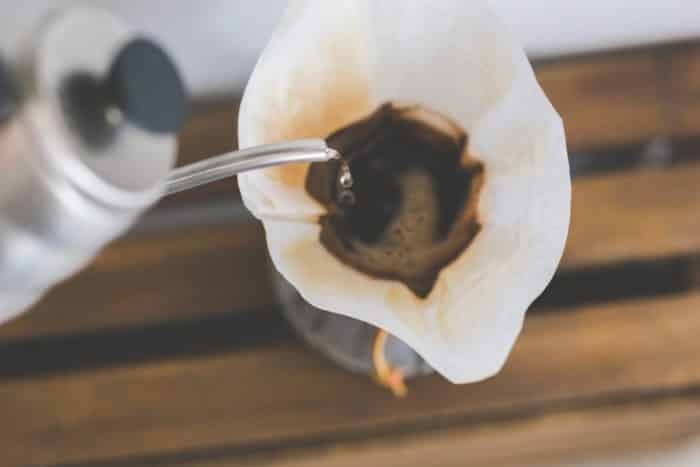 For a how-to on making the best pour overs, click here and read my in depth article. You may be wondering what makes a gooseneck kettle different from your standard whistling water kettle. It all has to do with design! 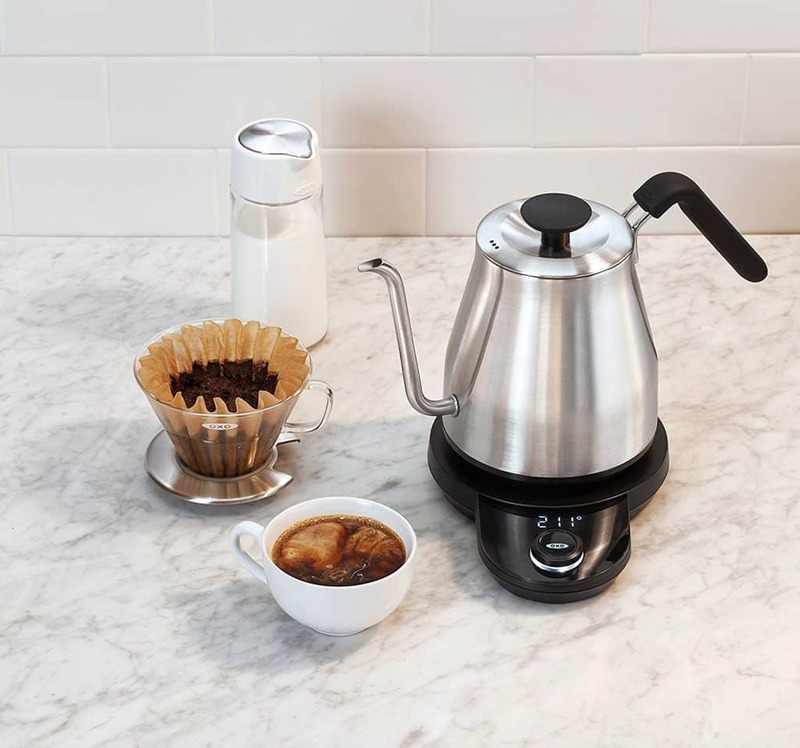 Unlike a normal kettle’s wide mouth, a gooseneck kettle has a skinny, fluted spout that gives the barista control over how much water comes out and how quickly it does so. The trick to a good pour over: pour and temperature control. 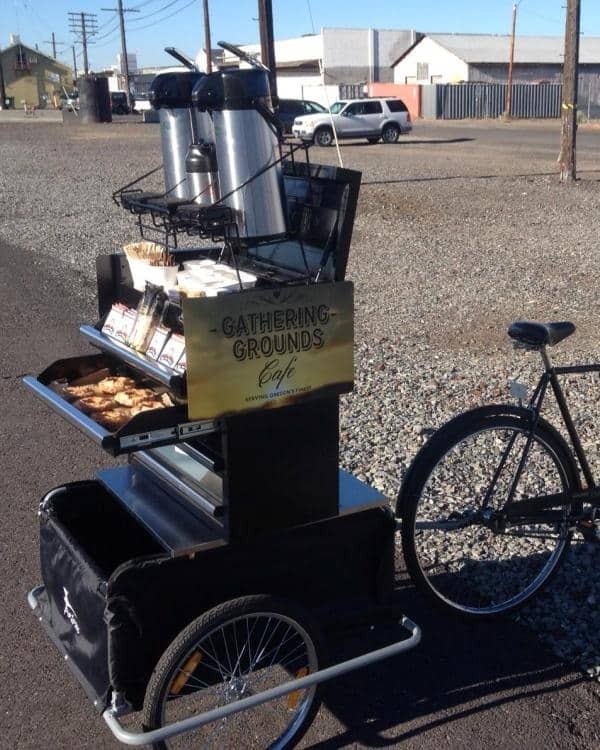 This is where a good gooseneck kettle comes in. These kettles started off as stove top but have been updated to electric. 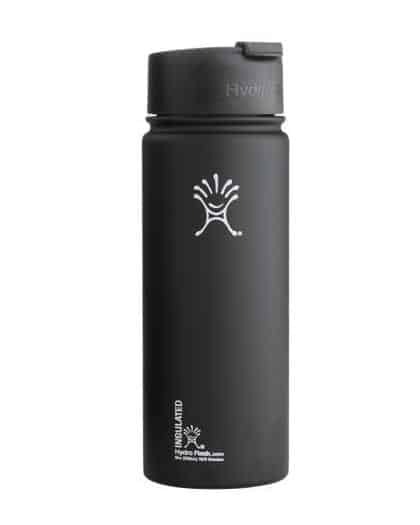 There are some standard set ups that bring your water up to the boiling point with the push of a button. 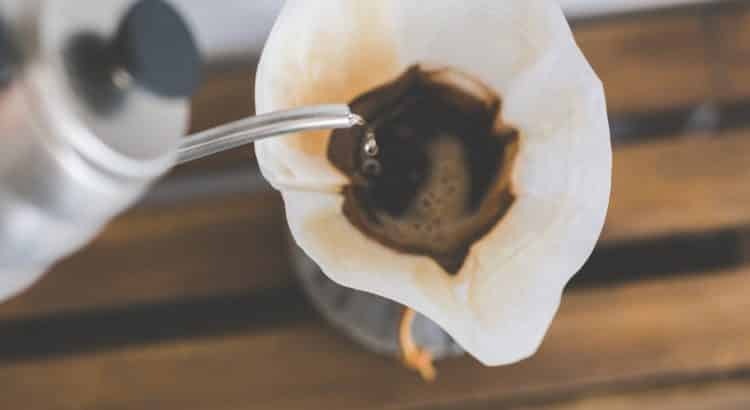 But coffee equipment designers have taken it one step further and created software that you can program for your desired temp—a big perk for those of us who are nit picky. 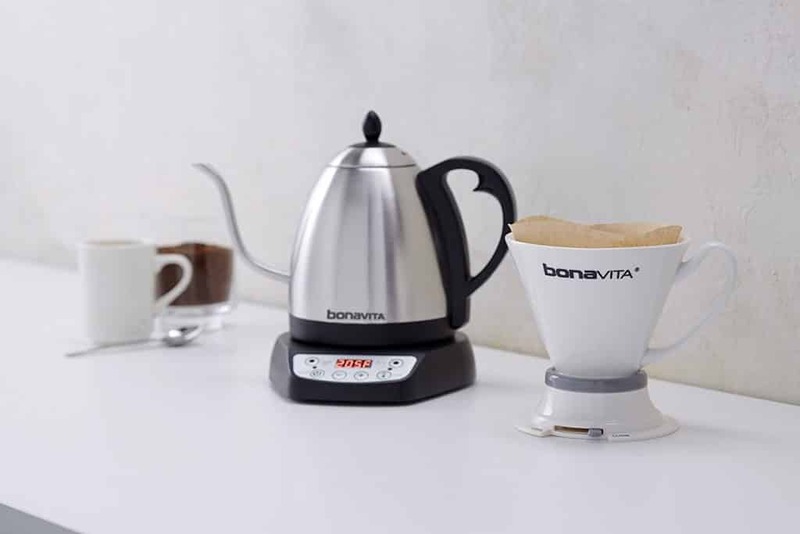 Consistent with earlier stovetop designs, the electric Bonavita is sleeker with its electricity powered plate. With this intuitive design which includes a simple on/off switch, and a powerful 1000 watts, you have speed boiled water in minutes. This model does not click into its base. So you can swivel 360 degrees as needed. This added bonus makes deciding to purchase this kettle as easy as boiling water. Also easy to recognize right off the bat, but with a few nifty upgrades, Hario has managed to outdo their stovetop maker. 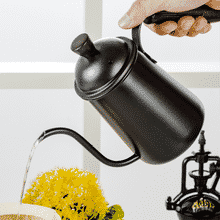 The Buono is super easy to use and incorporate into your coffee routine. 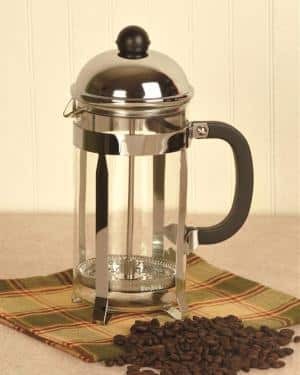 Just fill the kettle with the perfect single serve pour over amount—10 oz of filtered water and flip its on/off switch. You can grind your beans and pack your cone during the 5-6 minute wait time as your water comes to boiling point at 212 degrees Fahrenheit. 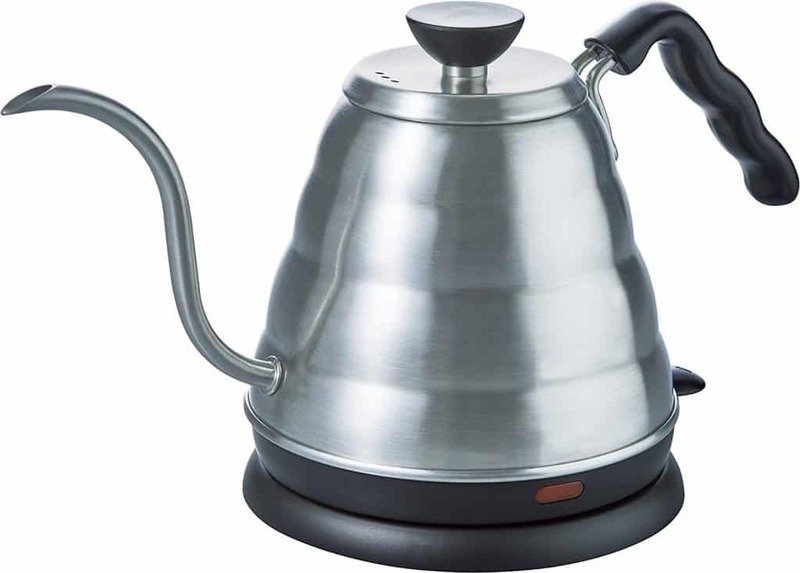 Easy to handle and consistent in design with their other products, the Buono is a no brainer if you’re looking for a relatively inexpensive first kettle. Now that we’ve covered tried, true and simple models, let me introduce the big guys. 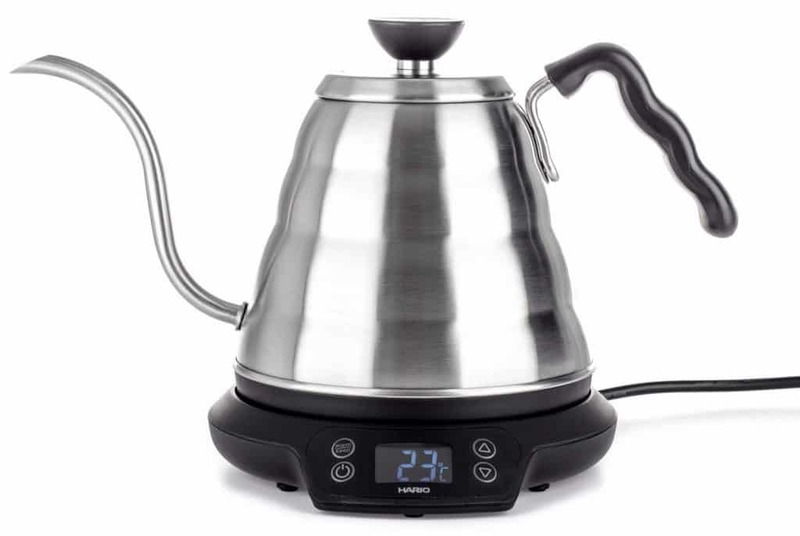 Here are some of the best gooseneck kettles with variable temperature settings. First off, let’s cover the new and improved renditions of the basic models we discussed in the previous section. 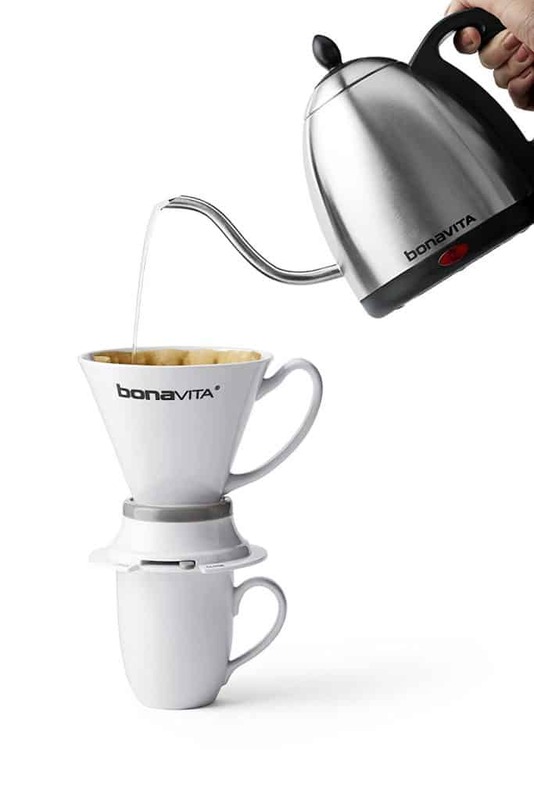 The first of the temperature control kettles, the Bonavita is quite the step up from its switch controlled predecessor . 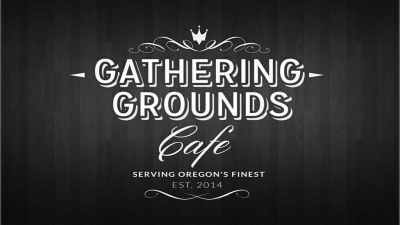 It is still incredibly user friendly and easy on the wallet. Made of the same stainless steel as the previous design, this model is durable even with its new perks. There are only 6 buttons that are clearly labelled rending this rig basically idiot proof. To tweak end temperature anywhere from 140 to 212, just click the +/- buttons. To get the system going push the temp set button and wait! In just 6-7 minutes, you’ll be ready to brew. But if, for some reason: there’s a crying baby, business call or laundry that needs to be switched, and you need more time, don’t sweat it. The Bonavita can hold that desired temp for an hour! 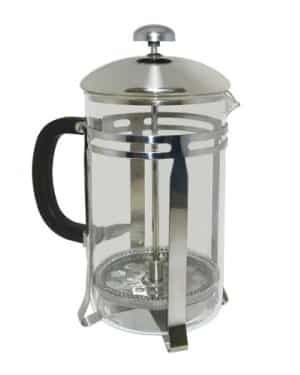 Consistent in design and function, switching from older Hario V60 kettles to this new and improved model will be easy as pie. It’s equipped with intuitive arrowed buttons to change the end temperature from 140-204. It takes about 6 minutes to warm up and then stays at that temperature for 15 minutes. It’s spout is a bit more slender than earlier renditions empowering the barista with more control! Don’t let the sleek, simple design fool you! The stainless steel OXO is power packed and FAST. That being said, it’s important to note that you should not have other appliances plugged into the same outlet. This baby runs up to 1500 watts, so it will short the circuit. The OXO will get you to your desired temp in 4 minutes. To set the temp anywhere between 140-212, turn its nifty dial and see your choice on the screen. With its built in timer, you never lose track of your pour-over process. And if you get distracted, it will keep the water warm for 30 minutes. This product is the freshest on the market, and therefore the most spendy. But it is well worth your money! Like the OXO, you have nob controlled temperature gauge and a screen that shows your desired temperature. This speedy kettle can get you to 106-boiling point at 212 in 5 minutes flat. It’s fast, but it gets better! The EKG can hold your temp for up to an hour! Though it is slimmer than other models, this stainless steel and heavily insulated kettle still holds 1L, enough for 1 cup of joe. With all of these options, I have no doubt that you can make a decision that will fit both your lifestyle and budget. Just remember that easy does not necessarily mean best. So if you’re leaning toward one of the single-button models, allow your piping hot water to cool for a few minutes before you pour so that you don’t burn your grounds. And if you read the write-ups and think you’re ready to take the leap and go for a more complicated rig, remember that great power comes with great responsibility. Don’t forget to unplug your other appliances, just in case! Keeping these final two tips in mind, if you have fallen in love with any of these awesome models, treat yourself and click on any of the graphics to make your purchase today!